I am done! Thank you to Becker and everyone on this forum! Reading others' experiences helped me stay motivated and push through to the end. I am done with this last AUD pass! Took me 2 years exactly from start to finish, but didn't pass my first one til Q12016. I am in utter shock! I will say the thing that turned it around for me, is the cramming. Giving myself too much time did not do me any favors. Of course learn the materials, but I'd say 2 weeks out…cram mode! Thank God it's finally done!!! Just found I out that I got an 87 on REG. I'm done baby! 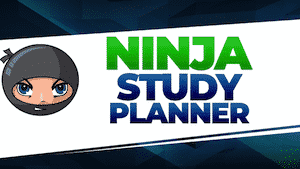 NINJA saved my working life! It's over with a BEC pass. This journey took a little over a year and couldn't have done it without NINJA. While my firm gave me Becker free, I would watch lectures and ditch Becker for NINJA mcqs on each exam. Thanks Jeff for a great product! So glad to be done with this exam!!!! After 14 total exam attempts over about 2.5 years I am finally done!! I did all of it with ninja. Thank you! I am so happy. I give a ton of credit to those of you who work full time and did this. I am 33, needed a life change, moved to Saipan and have spent the last year working on these exams. Each time I had to fly to Guam to take the exam. Took me 5 attempts to pass the test. In order I rank difficulty: FAR, REG, BEC, AUD. I can now resume my life. I am going to either take a job with the Chinese casino they are building here (my wife works in HR) or teach high school PE. Being a PE teacher certainly didn't require a CPA but this journey was more about proving something to myself. To anyone reading this who is not yet done please keep going, you can do this. Do MCQ until you are sick, use multiple test banks. Don't lie to yourself, don't sit for exams when you're ready and not before. If you fail a test, get new study. The only negative is I was so sure I had failed I bought the Becker MCQ and focus notes. Guess that was a waste of money. But for some reason this isn't bugging me right now! Just found out I passed FAR with an 80 after missing it by 1 point last window. With that, I am officially done with this beast of a test! Thanks for the awesome products Jeff! They are a life saver! If at first you don't succeed, destroy all evidence that you tried! I've got nothing else to say… I'm done!!! I am finally done with the CPA exam!! I just got my last score of 82 on FAR, passed it on the second try after getting a 72 last time. This is amazing. Congrats to everyone who passed, and if you didn't, don't give up, your hard work will pay off!! I am done bitchesssssss! Thank you so much for this forum and everyone's stories which keep motivating me. Thank you!!! I passed FAR. I am really happy person and hope god gives everybody little bit of justice luck along with your hard work. I cannot be more satisfied as i got 76(barely passed). I am pretty sure i got bump by the sim as i was little worried by MCQ. Thank You all and keep working hard, you will get it. FINISHED. "If I can do it, so can you".- ME. Thank you everyone for all your help over the last year. I have just passed my last section!!! I've never posted anything here before, but I would be a bad person if I didn't THANKS Ninja CPA Exam review for their role in helping me pass each section on the first try. I used Roger for the lectures and then used Ninja for the MCQs. Like others, I did MCQs until it seemed excessive, and then did a few more. The ability to customize my question sessions for questions that I had missed or that were “trouble” questions was really key to helping me feel comfortable walking into the exam, which I think was a big part of the battle. So congrats to all other passers AND to those who are disappointed but are picking it up to try again. We all deserve a handshake and a day off to eat a lot of food! @letsrun4it how is it living in vegas? I've been thinking about moving there but I wasn't sure because of the education system (or so I've heard that I'll probably have to send my kids to private school). I have always wanted to post in this thread, and now that I'm done I don't even know what to say. Its been a tough journey a lot of sacrifice and weight gain. I have defeated the monster, now I can get back to the things I enjoy and lose some of this weight. If you are still studying don't let up, its well worth it. started around late April, 2015, finished by today 11/22/2016!! Done. Hopefully I could complete the experience early next year and apply for my license! Now I am heading to ethics exam and probably other exams such as CMA, CFE. I feel like studying has become part of my life and kind of habit I just can't stop anyway! Holy moly. By the skin of my teeth I passed AUD with a 75. Done and DONE! Wow, I really couldnt be happier, not that i passsed all four tests but that i dont have to study anymore! hahah the hard work pays off, trust!! I am so very appreciative of this forum, thank you everyone, especially the ones who have already passed and stick around to help others like me. And thank you Jeff for this forum. I just found out that I passed REG, so I have now passed all 4 sections. Right now, I feel more relieved than happy. That was a long, grinding process. 82 on FAR. My last and final section. This long journey is finally over! Good luck to everyone studying for exams. You will make it! Thanks Jeff, you saved my life from REG nightmare. I definitely recommend ninja mcq to my friends! I am finally done! YAY!!! Thanks Jeff, I learned so much from the whole process and about myself. 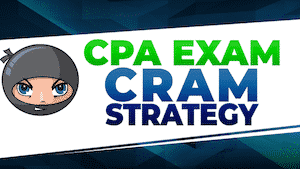 I wish all CPA candidates good luck. I passed all four sections of the exam in 5 months by using Ninja Ten Points Combo and Rogers. Also, this Ninja forum helped me so much to keep reminding myself to strive. 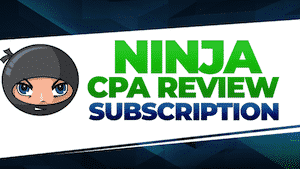 Ninja CPA Review is the best! 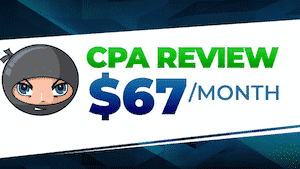 I will definitely recommend it to everyone, who is preparing for the CPA exam. 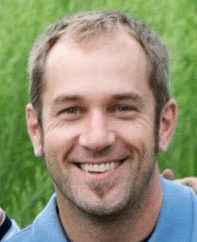 test – trying to fix this thread from acting wacky. I passed!!!!!!!! got my REG score back tonight! I passed all four on the first try and could not be happier than I am right now! I am finally done!!!! I used Becker. I passed all of them on the first try!! !